We believe that children who are in a challenging and stimulating school curriculum learn a great deal throughout the day. We believe the time at home is valuable for children to spend with family and relax, therefore homework is kept to a minimal. a) All weekly homework is sent out on Friday to all parents/carers the choice of times over the weekend/week ahead to complete it. b) All weekly homework is returned on a Thursday to enable staff the chance to assess and mark it in order to prepare the following week. Reception class have a sound book with the focus sounds and tricky words in for the week that parents can spot with them in reading and games throughout the week. Year 1 to 6 are taught the school spelling scheme, these are made into sentences by the children and staff and sent home on Friday. Children are expected to copy the sentences out at least once in their homework book and then play games/do activities at home to learn the key 7 words. On the following Thursday spelling are assessed through a dictation in the back of the homework book, children without homework books complete this on paper and then copy it into their homework book the next day. 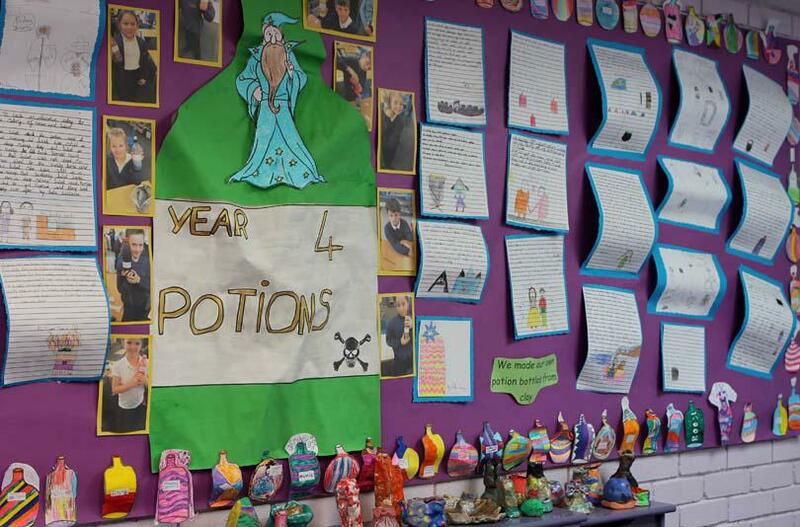 Spellings are marked by the class teaching team or children, as age appropriate, with the score marked out of 7 so parents/carers can see how well their child has done in the assessment. This is the school online math homework and all ages from Y1 to 6 have two weekly tasks set each Friday to be completed over the week. There are additional games on the site. Please let your teacher know if you have any difficulties logging on. YR to Y5 have a Reading Record, Year 6 use their homework book. The expectation is that children will be heard read and talk about the book in relation to the target at least 3 times a week. The teacher sets a reading target from their current certificate each Friday; the current target is highlighted. Older children may read alone but parents still need to discuss the reading. Parents are expected to make a short comment on their progress with the target. When the adult reads with a child in school the record is stamped and a very simple comment is made on the target. Different ages or children will receive homework at different times to help consolidate learning or prepare for Secondary School. If any school work is unfinished in school children will be expected to complete this at breaktimes or at home. For parents/carers who would like to provide more opportunities we have work books for each age, ask parents/carers to go to the office for collection. The Computer Room is open at lunchtimes for children to complete homework. There is a weekly homework club available for children to join as their weekly club. Children attending Funzone are supervised and supported to complete their homework before going home. If parents/carers need any support or guidance with homework please talk to the Teacher, Subject Leader, Deputy or Headteacher who will be happy to guide and support. There are also Parent Workshops available throughout the year, ask the office team for the next opportunity.